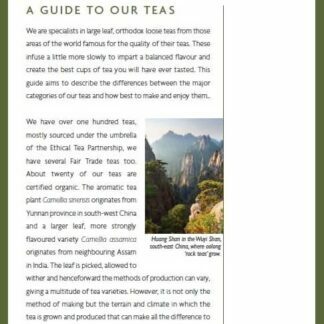 View basket “Tea Guide” has been added to your basket. Add £30.00 more to get free shipping! Creating an account enables you to refer to your purchase history and stores your details to make purchasing quicker in the future.